Swazzle builds custom puppets in every style: hand puppets, rod puppets, full-body puppets, glove puppets, marionettes and even finger puppets. Swazzle's puppets are built with performance in mind, using lightweight, durable materials that maximize movement possibilities. 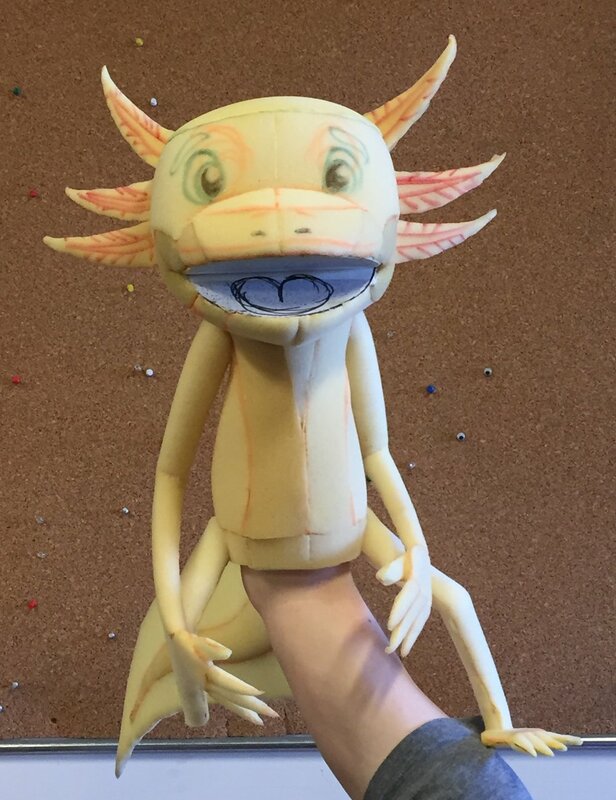 Swazzle can build puppets based on existing designs or collaborate with you to create a custom design. Swazzle's walk-arounds are built with lightweight yet durable materials to maximize performance possibilities. Swazzle also strives to make walk-arounds that are easy to put on and take off. Swazzle can build walk-arounds based on existing designs or collaborate with you to create a custom design. If you don't have the time or budget to have a custom puppet built, you can rent one from Swazzle's stock for a reasonable daily rate. 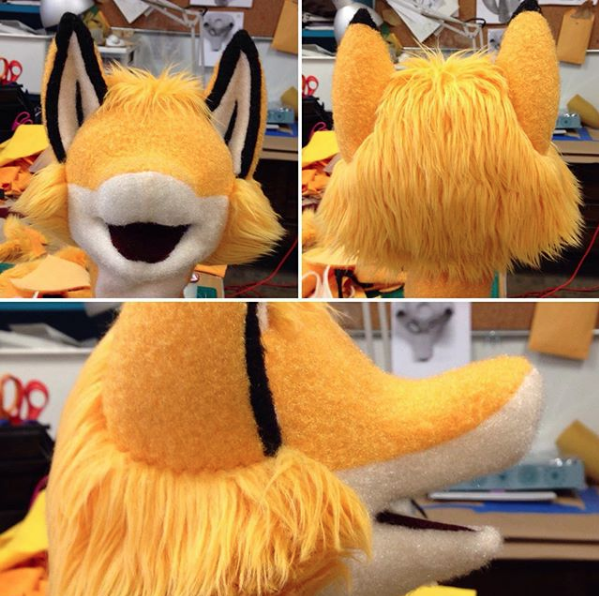 Need a puppet with blue eyes, cat ears or a large mustache? 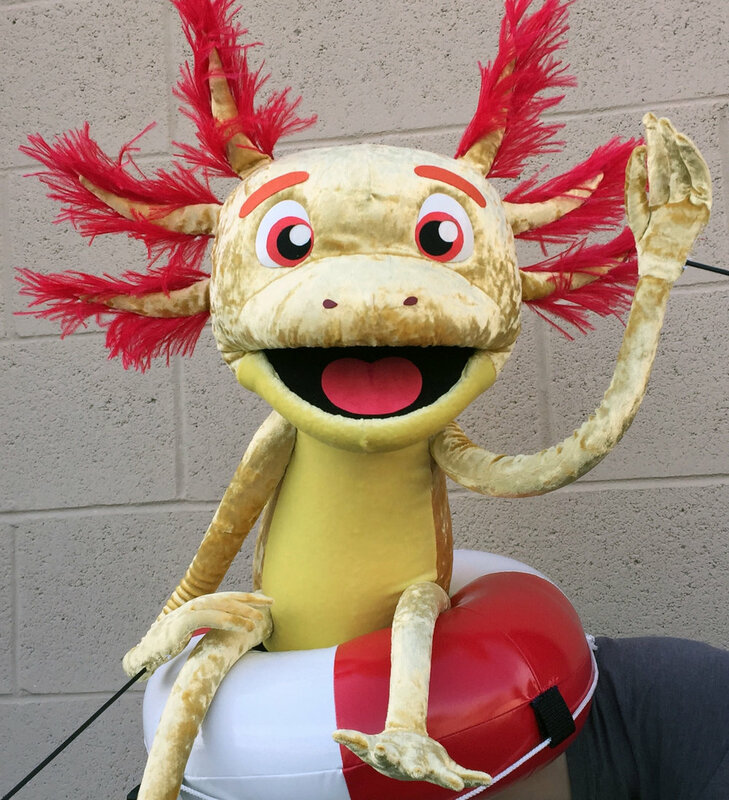 Swazzle's rental puppets can be customized to fit the needs of your project. Additional customizations are priced individually. This moving-mouth axolotl hand puppet was built for the Aquarium of the Pacific for use in their live puppet shows. The puppet was based on a design provided by the aquarium. It was built out of patterned foam and covered with a unique combination of materials. Swazzle also created custom props, including an inner tube, sunglasses and a puppet-sized keytar. 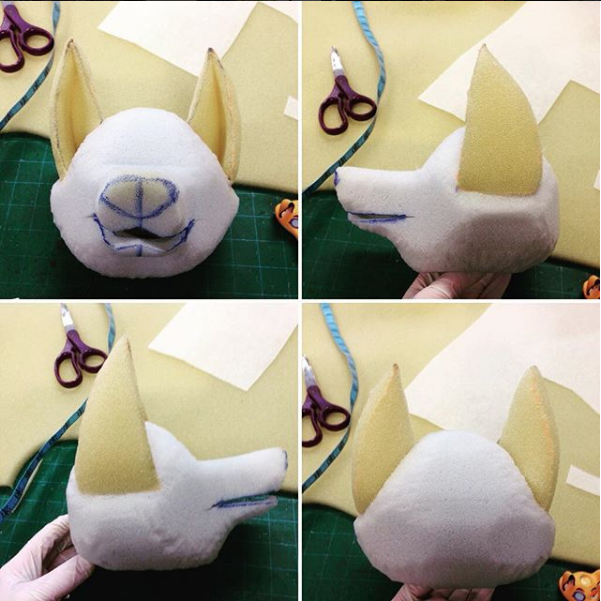 This moving-mouth fox hand puppet was built for use in Tr!ckster's online promotional videos. 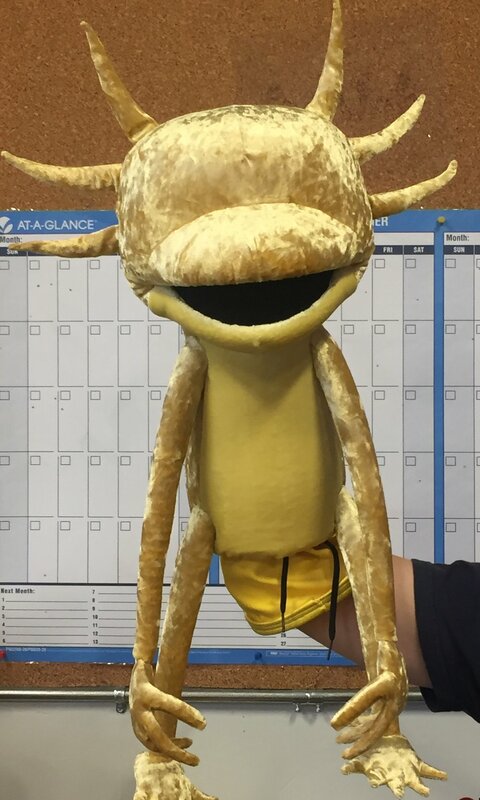 The puppet was based on an action figure of the company's mascot. This puppet was built out of carved and patterned foam and covered with custom-dyed fleece and fur. 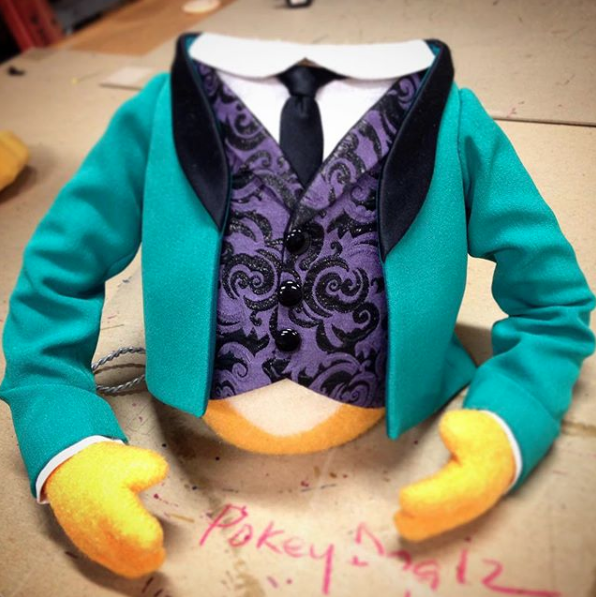 Swazzle also created a tailored costume for the puppet. 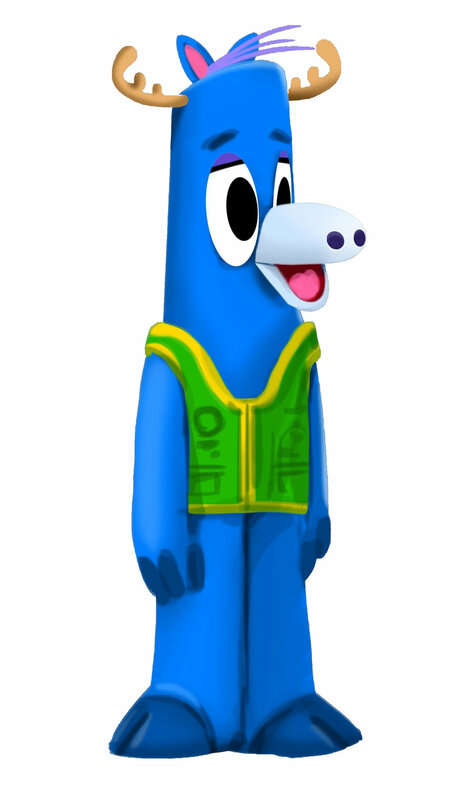 This full-body walk-around moose costume was built for the PBS series Mack and Moxy. The character design was developed by Swazzle with input from the producers. This costume was built out of L-200 and patterned foam and covered with custom-dyed fleece. It features radio-controlled mouth movements and eye blinks.